I like drawing zebras. Every zebra has unique stripes which should make them easily scannable. 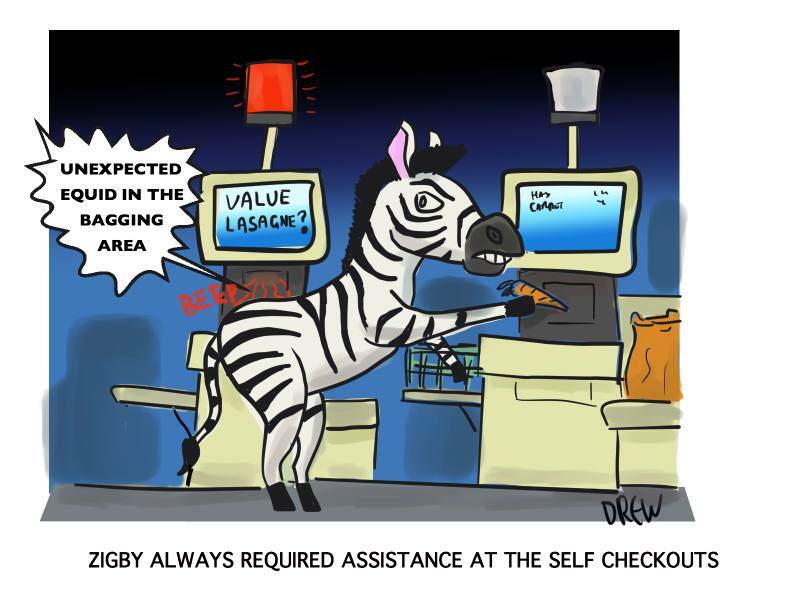 I dislike self checkouts but I have drawn them before.